In a recent issue of Archie spinoff Jughead, the comic's title character falls in like with a girl. Jughead has canonically identified as asexual, so he's shocked and confused. 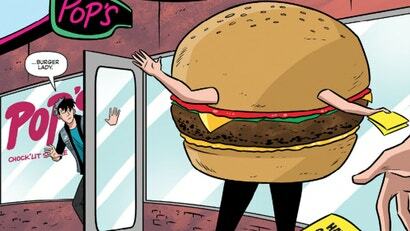 He doesn't know what this girl looks like; he's only seen her dressed as a giant cheeseburger. So his friend Betty urges him to make a move - but a polite, respectful one. And for a young woman on the wrong end of a love triangle over a ginger, Betty has great advice. Late last year, Archie Comics announced a series of one-off one-shot books that had the potential to become an ongoing series at the company -- including an all-new Archie Horror tale that turned Jughead Jones into a ravenous werewolf. 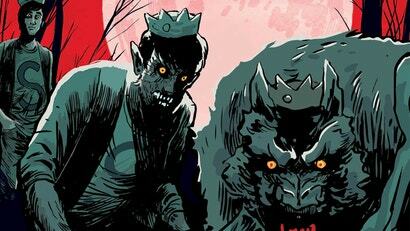 Now, we can exclusively reveal that Jughead: The Hunger will return this Halloween!